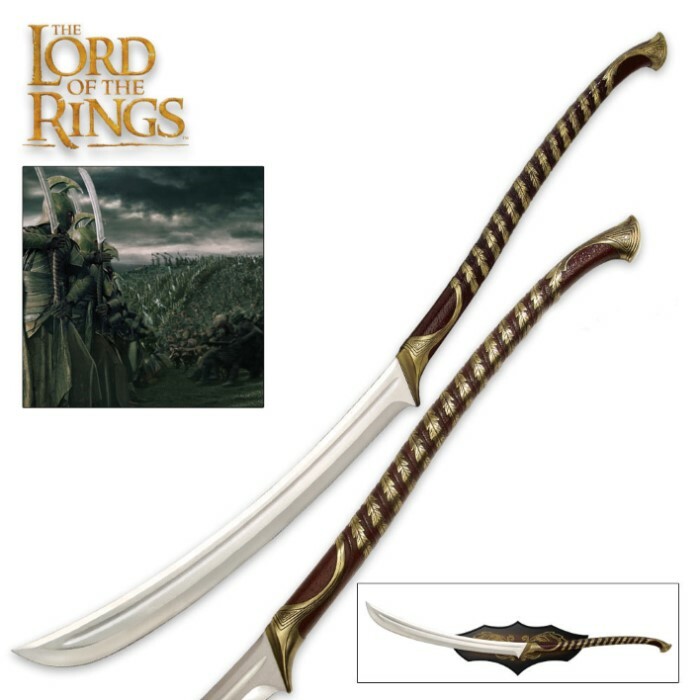 From the epic trilogy The Lord of The Rings comes this officially licensed High Elven Warrior Sword, an exact replica of the actual filming prop used in the series. This dramatic warrior sword features a 29-1/8" tempered 420 stainless steel blade with false edges. 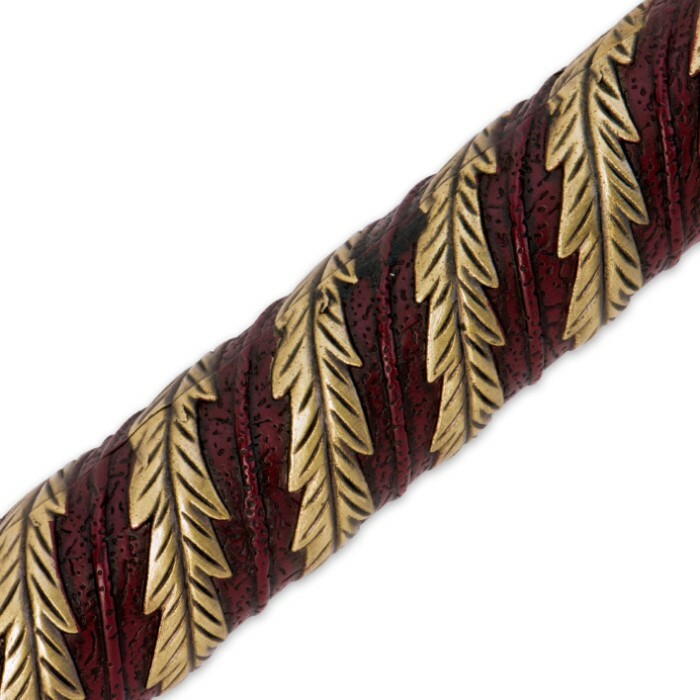 The solid metal handle is decorated with a faux leather grip and accented with antique-finished brass-plated elven vine motifs. The High Elven Warrior Sword includes an attractive wood wall mount display plaque to showcase this treasure. Like all LOTR collectibles, it also includes a Certificate of Authenticity. Measures 49-3/4" overall. I own almost all of the LOTR products from United Cutlery. They are all great products and this Elven sword is no exception. Beautiful craftsmanship in metal and wood. Well worth the money. This is an incredible display piece. This is the most sleek and well done in the Lord of the Rings line that they've produced. I wished it was a battle ready sword, but that's something I can live without. Absolutely stunning! Got this as a gift for my anniversary. It is beautiful. I love it. This sword makes a great wall piece. It is false edged, not sharp at all, but that's OK because you shouldn't be hitting crap with it. Be warned it is fairly heavy so mount on wall securely. awesome i have always wanted this and now i got it. its easy 2 handle fun 2 swing and really better then uruk-hai scithmar which i also reviewed but theyre both good. the lord of the rings rule.